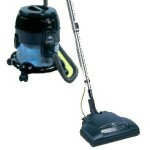 The FD50105 Quick and Light Carpet Washer is a true bargain for a carpet cleaner. Dirt Devil products are among some of the most recognizable due to their characteristic red color. 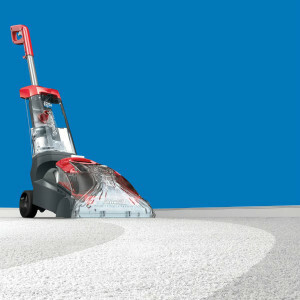 While the company primarily is known for lightweight and handheld vacuum cleaners, but there are several Dirt Devil carpet cleaner options available. 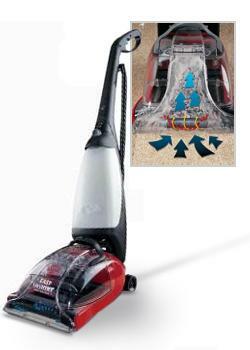 Dirt Devil carpet cleaners are some of the most affordable machines of their kind on the market. 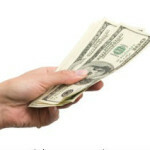 If you’re looking for a bargain option, you will be hard pressed to beat their prices. 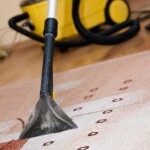 Of course the lower price point means that you trade off on quality and durability relative to other carpet cleaner brands. 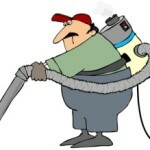 In this article we take a look at three popular Dirt Devil carpet cleaner models to examine the advantages and disadvantages of each. 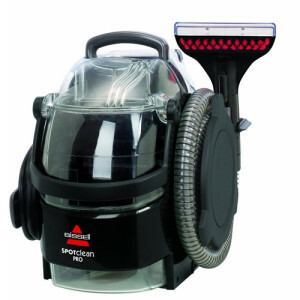 Read on to get details on the functionality and performance of the Dirt Devil FD50105 Quick and Light Carpet Washer, the Dirt Devil Easy Steamer Deluxe, and the Dirt Devil Platinum Force Shampooer. 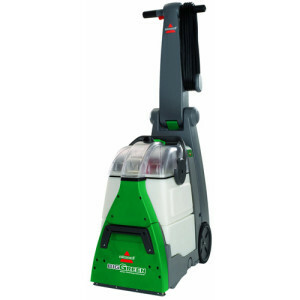 The FD50105 Quick and Light Carpet Washer weighs in at just over 11 pounds and is designed for convenient cleaning. 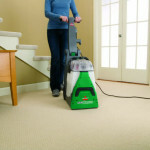 The FD50105 is priced at just under $100, which is pretty remarkable for a carpet cleaner. The machine has earned a rating of 3.6 stars out of 5 from consumers overall, indicating that it has slightly above average results. 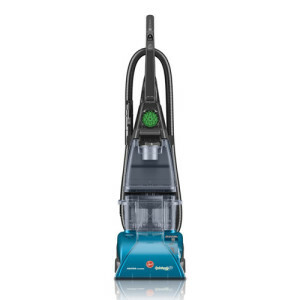 The Dirt Devil Easy Steamer Deluxe is upright that offers the best in carpet cleaning design with the maneuverability of the Featherweight line to help in keeping the dirt and grime from staying in your carpet. 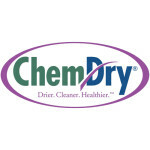 The easy steamer has a hand weight of 1.9 pounds but a working weight of just over 20 pounds; the hot water is contained in the clean water tank and the dirty water is kept separate, each holds one gallon of liquid. 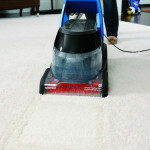 The working part that loosens the dirt from the carpet is a motorized roller with bristles and a separate on/off switch. 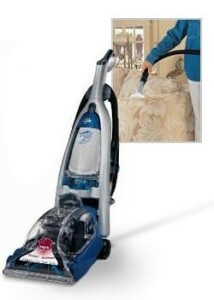 After the clean water and detergent solution is released and the roller brush is used, the dirty water is sucked up through an eight foot hose into the dirty water tank; with the longer hose and cleaning nozzle cleaning stairs and upholstery is much easier then with other bulkier brands and models. 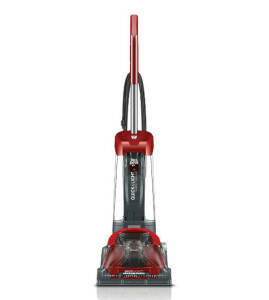 The motor powering this Dirt Devil Easy Steamer Deluxe has twelve amps and the cord reaches up to 25 feet, long enough to reach across most living rooms easily. 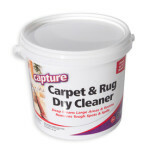 The carpet cleaner does not have a bag, saving additional expenses. 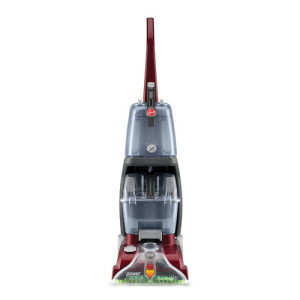 One reason that customers enjoy using this machine is that it is easy to move and operate for any age group and the $119.99 suggested retail price makes it an affordable carpet cleaner to invest in, especially when you consider the two year warranty it comes with. 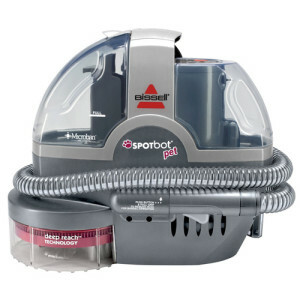 A close cousin to the above reviewed Dirt Devil Carpet Cleaner is the Platinum Force Shampooer; it also features twin hoses for extracting water from the carpet after it is cleaned, a seven amp motor, fingertip controls and a separate holding tank for soap dispensing. The two brushes are designed to rotate in opposite directions to keep the dirt and pet hair loosened from the carpet so they can be thrown away after being picked up by the hoses. Easily assembles with the aid of a screwdriver, the Platinum Force comes with several attractive features that may not be available with other types of carpet cleaners; a cord length of twenty five feet and a hose length of ninety six inches. 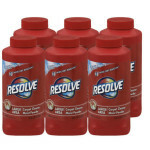 The capacity of the separate clean and dirty water reservoirs is one gallon. The weight unfilled with water is 23.75 pounds, when water is added to clean the carpets with, the total weight is 31.75 pounds, much lighter then the Rug Doctor models. This makes the Dirt Devil Carpet Cleaners easier to operate and less time spent in emptying the dirty water tanks then other models. The Platinum Force retails at $219.99. The Dirt Devil Platinum Force carpet cleaner has good reviews from customers on Amazon, with most of the reviewers liking the performance on both bare floors and carpeted areas with both heavy and light traffic. The cons mentioned were the slight dripping of tanks when being moved, somewhat heavier than expected while in use. Reviewers also had problems with cleaning the machine after use on a heavy shag style rug. Some mention was made of improvements that could be considered such as a heater for the water tank.